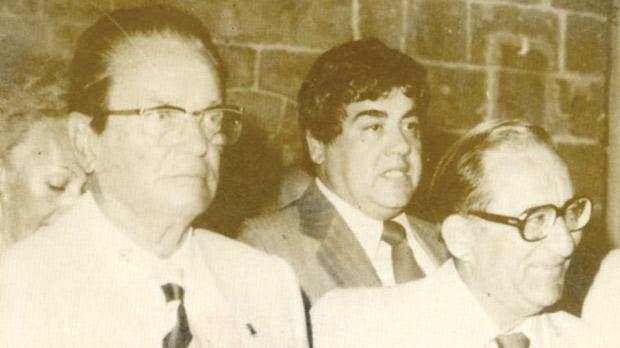 Former Prime Minister Dom Mintoff with President Tito of Yugoslavia (left) and the late Labour Minister for Public Works Lorry Sant during Mr Tito’s visit to Malta in 1979. Fifty years ago today the heads of 28 nations gathered in Belgrade, former capital of Yugoslavia, to attend the first conference of the Non-Alignment Movement. The movement’s founders are considered to be India’s first Prime Minister, Jawaharlal Nehru; Egypt’s second President, Gamal Abdel Nasser; Ghana’s first President, Kwame Nkrumah; Indonesia’s first President, Sukarno; and then-Yugoslavia President Josip Broz Tito. All five leaders were prominent advocates of a middle course for states in the developing world between the Western and Eastern blocs in the Cold War. Leaders at the 1961 summit agreed to promote world peace and cooperation by not aligning with either power bloc. 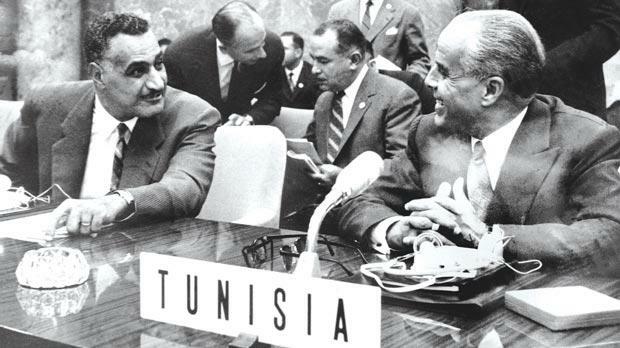 For several years Malta was one of the active members within the movement with the then Prime Minister Dom Mintoff at the helm of delegations which attended various sessions and meetings of the movement. For many years after independence in 1964, Malta followed a policy of close cooperation with Britain and other Nato countries. This relationship changed with the election of the Malta Labour Party government in June 1971, led by Mr Mintoff. The Nato sub-headquarters in Malta were closed at the request of the government, and the US Sixth Fleet discontinued recreational visits to the country. 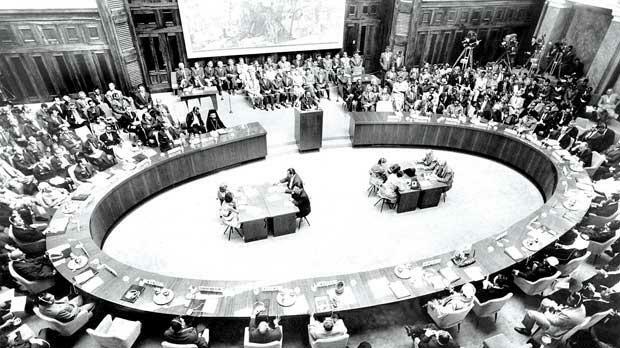 Following the departure of the British Forces from Malta on March 31, 1979, the Labour government charted a new course of neutrality to pave the way for Malta’s entry into the Non-Aligned Movement. In a Parliamentary statement on October 1, 1973, Mr Mintoff said the government of Malta had applied to be an active member in the movement on August 14, 1973. Other applicants with Malta were Peru, Bangladesh, Oman, Qatar, Argentina and Butan. Mr Mintoff told Parliament that while the applications of the other countries were recommended to the Foreign Minister Council, that of Malta was forwarded to the Council without expressing its views. Mr Mintoff said that the Maltese government learnt that the British military bases in Malta puzzled many states’ representatives who, according to Mr Mintoff had no clear knowledge of the new Labour government’s new foreign policy. Half through his statement Mr Mintoff announced that on September 4, 1973, the Maltese government was officially informed from the Movement President Houari Boumedienne, of Algeria, that Malta was accepted as new member and that it could take part in the Head of Governments’ meeting which was going to be held between September 5 and 8. For this conference Mr Mintoff led a delegation which was made up of Parliamentary Secretary Wistin Abela, the Crown Advocate General Dr Edgar Mizzi, Cabinet Secretary Joe Camilleri, Foreign Affairs official Tony Sammut. During this meeting the Maltese delegation had bilateral talks with the President of Algeria, Mr Boumedienne, the Prime Ministers of Syria, Morocco and Lebanon and representatives of the United Arab Emirates. Being an active participant in the UN, the Commonwealth, the Council of Europe, OSCE, and various other international organisations, Malta has frequently expressed its concern on the peace and economic development of the Mediterranean region. The Nationalist Party government elected in May 1987 continued a policy of neutrality and non-alignment, but in a Western context. On May 1, 2004, Malta became a full member of the EU, with which it had an Associationship Agreement since 1971. Today, the Non-Aligned Movement has 118 members and 20 observer countries, representing a majority voice in the UN. During the Cold War, with the USSR and Eastern Europe on the one hand and the US and Western Europe on the other, the world split into two camps. However, during the 1960s a third camp, the Non-Aligned Movement emerged. Made up of countries that had gained independence from the European empires in the period after World War II, the movement tried to act as a stabilising force between the two superpower blocs, as well as giving its members a more powerful voice through unity. The origins of the movement lay in the Bandung Conference, Indonesia, in 1955, at which Asian and African states met to find common ground and agreement for future cooperation, and proclaimed anti-colonialism and neutrality between East and West power blocs. During the Cold War, members of the Non-Aligned Movement were often the targets of the US and Soviet Union, as both the US and theSoviet Union tried to attract non-aligned countries into their respective camps. Monetary aid was given to development projects, such as the Soviet funding of Egypt’s Aswan High Dam project during the 1960s. The Non-Aligned Movement was not a strongly unified group like the North Atlantic Treaty Organisation or the Warsaw Pact, and its members were weaker economically and militarily than the superpower blocs. Therefore, although its members were able to increase their status through unity and cooperative voting in the UN General Assembly, they were never able to challenge the dominance of the two super-powers.